Andromeda is a constellation in the northern sky. 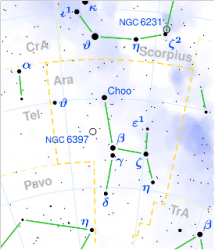 It was one of the 48 constellations listed by the 2nd century astronomer Ptolemy, and it remains one of the 88 modern constellations today. The Andromeda Galaxy is named after the constellation, as it appears within its boundaries. 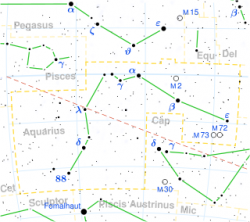 The constellation is named after Andromeda, the princess and daughter of of Cepheus and Cassiopeia, monarchs of the kingdom of Ethiopia. Cassiopeia boasted that her daughter Andromeda was more beautiful than the Nereids, the nymphs of the sea that often accompany Poseidon. To punish the Queen for her arrogance, Poseidon sent a whale called Cetus to ravage the coast of Ethiopia. 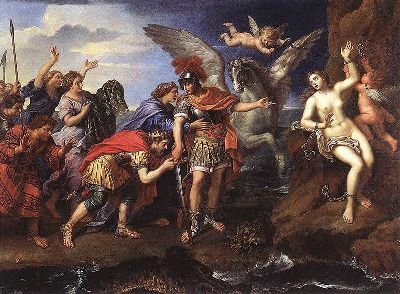 According to the Oracle of Apollo the only way to appease the monster was for the king to sacrifice his virgin daughter Andromeda to the monster. Having no other choice, the king had her chained to a rock on the coast. Fortunately for Andromeda, Perseus was returning from having slain the Medusa and used it’s head to turn the monster into stone. He then set Andromeda free and married her. Their descendants later ruled Mycenae. After her death, Andromeda was placed by Athena amongst the constellations of the northern sky, near Perseus and Cassiopeia. 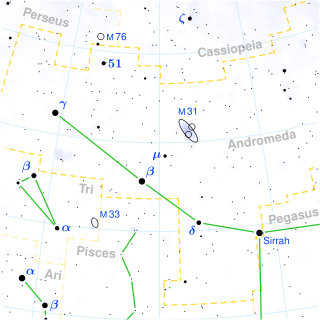 Alpha Andromedae (α And), also known as Alpheratz and Sirrah, is the brightest star in this constellation. It is a binary star which was formerly considered to belong to both Andromeda and Pegasus, and was co-designated as “Delta Pegasi (δ Peg)”, although this name is no longer formally used. Beta Andromedae (β And), also known as Mirach, is a red giant located 200 light years away. Gamma Andromedae (γ And), also known as Almach, is found at the tip of the southern leg of the big “A”. 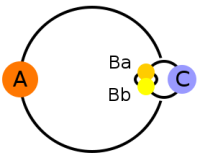 It is an odd quadruple star system (see image below). Delta Andromedae (δ And), also known as Sadiradra is a binary star system approximately 101 light years away. Upsilon Andromedae (υ And) is a binary star system 44 light years away that has three confirmed planets, 0.71 times, 2.11 times, and 4.61 times the mass of Jupiter (see image below). 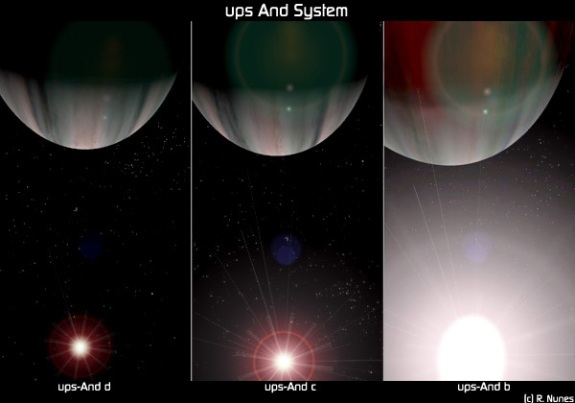 Artist’s conception of the planets of Upsilon Andromedae. 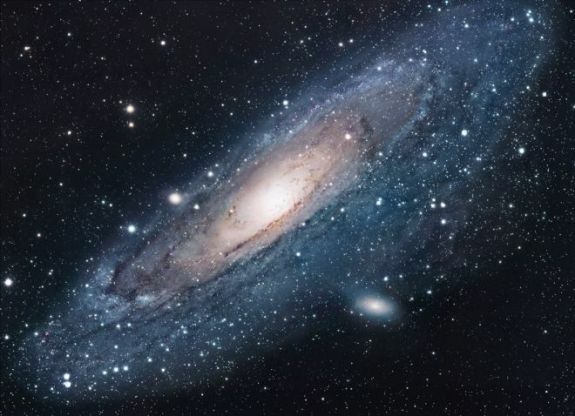 The most famous deep sky object in the constellation is the Andromeda spiral galaxy, also known as M31 and NGC 224. It is located approximately 2.5 million light-years away. The Andromeda Galaxy, image credit: Robert Gendler.